A chicken, two stolen Mercedes, a fist fight, a mistranslation, an argument, a crate of beer, and green ink. The only connecting thread between these seven entries is that they are in their own little ways absurd. Kenya’s first four-star general, Jackson Mulinge, ended up in the army because of a chicken (or goats, according to some sources). 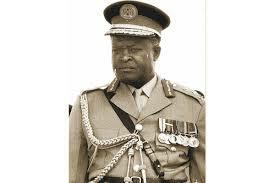 As an 18-year-old in 1942, he went to Machakos to sell a chicken and use the money to buy a pair of shorts. Then a recruiting officer grabbed him, and he ended up staying in the military for much of the rest of his life. He then served in Ethiopia and Malaysia. Unlike most of his colleagues he stayed on after the war ended. He was a Warrant Officer Class One by 1956 before being commissioned as an officer in 1961, a Major General in 1971 and by seven years later, General. 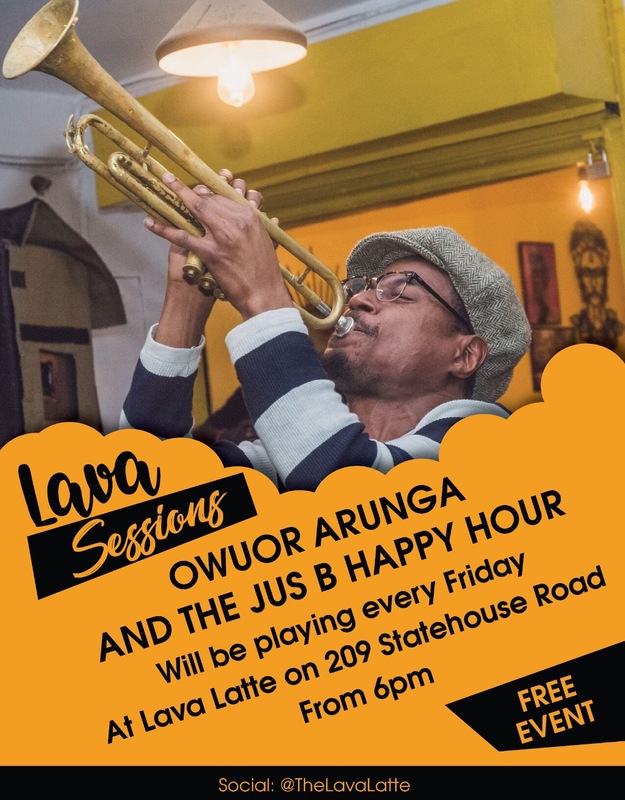 The interlude between those last two is important, because Kenya didn’t have a Chief of General Staff at the time after the last one, Joseph Ndolo, was fired after a failed coup. Mulinge then held the position until 1986. The premise of this story isn’t unusual for its time. Conscription was common at the onset of the war, with vague contracts that would be terminated “after the cessation of hostilities” whenever that may be. But what’s different with Mulinge is that he ended up staying in the military and climbing all the way up. 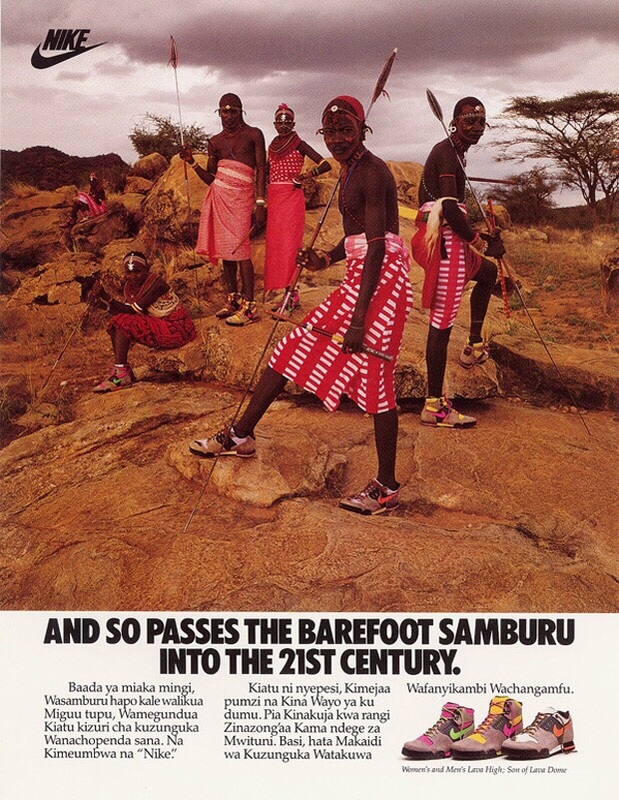 In 1989, Nike shot an ad in Kenya using Samburu models. The idea was to have the main character say “Just Do It” in Maa, and then the words would appear in English as a subtitle at the end of the 30-second clip. But at the end of the colorful ad showing Samburu models in Nike sneakers, one of them turned to the screen and said “I don’t want these. Give me big shoes.” Nike and its agency thought no one would notice because it was in Maa, but one anthropologist did. Nike’s initial defense was that the Maa translation for “Just Do it” was too long for the 30-second spot. In the original script, the ad was meant to end with a joke that Nike had sent him the wrong size. So they cut out everything else and left the joke part, then added the subtitle. Later though, the director confessed that their translator only spoke Kiswahili and the models only knew Maa, so everyone was just saying whatever they felt like. The ad itself is now lost but the print version above is from the same series. In this discussion on Reddit about the ad, things quickly go downhill. In 2005, the UK government released several intelligence files on Jomo Kenyatta, mostly covering his first stay in London. While the files were thick with suspicions of Kenyatta’s communist leanings and visit to Russia, there’s something else in them that’s so absurd it’s hilarious. Kenyatta had always been a proponent of certain Kikuyu customs such as female circumcision and it formed one of the core pillars of his anthropology studies. One of his loudest critics was Louis Leakey, the archaeologist who saw himself as an expert in Kikuyu customs. On November 14th 1935, Kenyatta was presenting a paper at the London School of Economics on the topic while Leakey was in the audience. 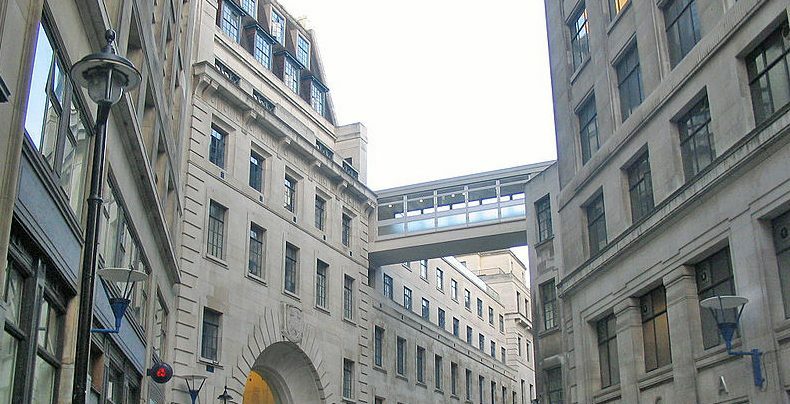 They were both students at LSE under Bronislaw Malinowski at the time. As Kenyatta hammered on, expressing the merits of initiation rites for women, Leakey got incensed. When he couldn’t listen anymore, Leakey interrupted Kenyatta’s speech and the two of them started screaming at each other. The best part? They were doing it in Kikuyu! So only the two of them could understand what they were talking about, and the intelligence file has no record of the insults they exchanged. All it records is that for quite a while, the two men were screaming at each other in the middle of a lecture hall in a language no one else could understand. 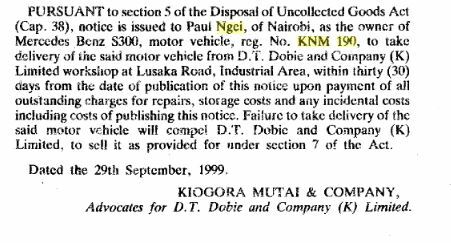 Kenya’s most famous stolen Mercedes Benz, KNM 190, was the S300 that Paul Ngei took on a two-decade test-drive. He told DT Dobie to bill the government, but the dealer was never paid because he had taken it for himself, not in his official capacity as a government minister. More than 2 decades later, when auctioneers tried to seize it from his house, they realized they couldn’t because it was still registered in DT Dobie’s name. The best part of this story is not even that, it’s that it seems Ngei was still taking the car to DT Dobie for repairs, and they were demanding he goes for it. But there was another major theft of a Mercedes Benz, and this one caused a diplomatic mess. While Kenya and Somalia were at war in the 1960s, Moi’s specific disdain for Siad Barre was fueled partially by a stolen car. In the mid-1970s, two Somalis stole Moi’s Benz and drove it to Mogadishu. 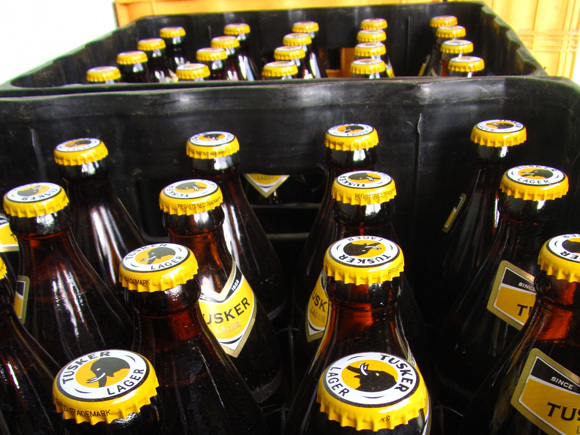 Kenya complained and initially, the two of them were arrested and the car seized. 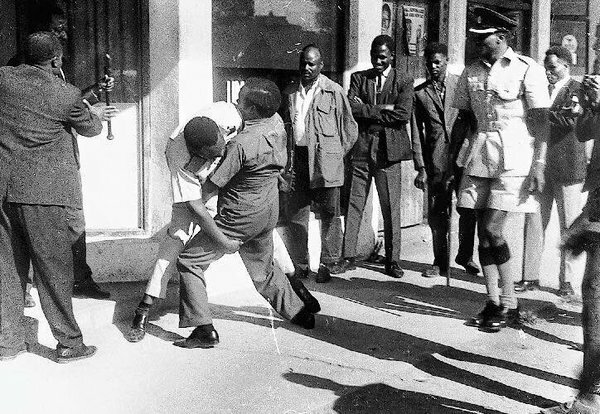 Then Siad Barre waltzed in and demanded they be released and the car handed back to them. By the time Somalia’s ambassador to Kenya at the time, Hussein Ali Dualeh, wrote about the incident in the book From Barre to Aideed (1994), the car was a just a mere scrap abandoned near Garowe in Central Somalia. By that time, Siad Barre had been toppled. Interestingly, it was Moi who offered him temporary refuge after he fled Mogadishu. 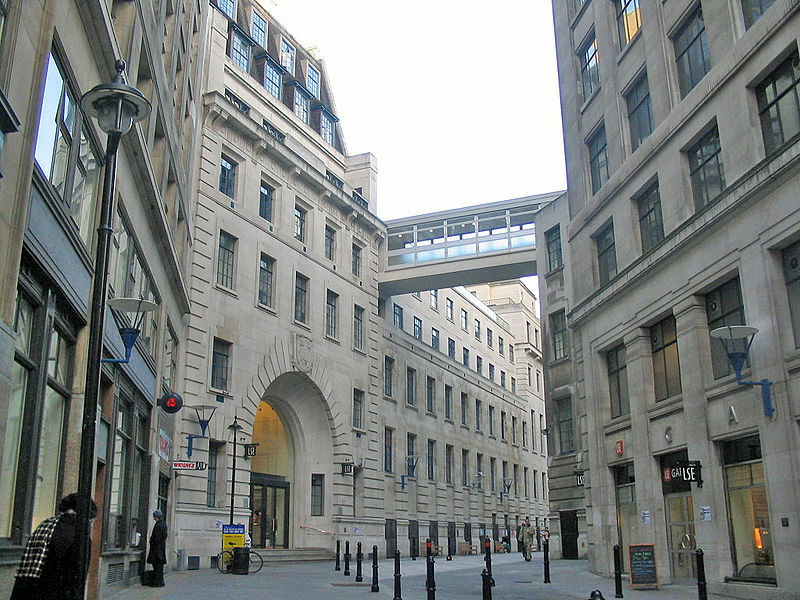 It wasn’t even the only known theft Moi suffered. In the early 1960s someone broke into his house and stole his money, clothes, and household equipment. The thief was caught, and the prosecutor in the case was Charles Njonjo. In his lifetime, Paul Ngei was a failed soldier, a journalist, a short-lived actor, a prisoner, a minister, and a failed businessman. But he was most famous for his readiness to start a fist fight. In fact, he tried to beat up almost everyone he ever met. The feature image for this post is part of a series taken outside the KANU office in 1968. The other man in the fight is Mbolu Malu, an assistant minister. What they were actually fighting about doesn’t matter, because they fought many times, and Ngei fought with so many people over everything. Malu won most of their fights, but Ngei had access to Kenyatta that he could never triumph over. A fist fight is actually how Paul Ngei ended up as one of the Kapenguria Six. Although he was an editor at the time and had been involved in the freedom movement, he was not an immediate suspect. Around October 1952, he punched up a colonial officer at the wrong time, earning himself first a three-month sentence and then being added to the other freedom fighters. In Kapenguria, he punched a jailer, and once tried to push Kenyatta into a furnace to protest his cooking. If there was someone to beat up, Ngei was up for it. After Tom Mboya was gunned down in 1969, newspapers had one afternoon to get their stories ready for the Sunday paper. The Daily Nation combined a formidable team of Philip Ochieng’ and Brian Tetley to work on the story. But the two of them were young, hard and distracted drinkers. So the editors locked them in a room with a crate of beer and strict instructions that they couldn’t leave the room until the story was done. They would indicate this by banging on the door once the typewriters had gone quiet. The story got done, and it’s likely the crate itself was empty by that time. In the golden age of newspapers, such sequestering of brilliant but distracted journalists was common. Some of the best stories of that age were actually written by drunk people, with some extreme cases involving a present paper boy whose work was to seize each sheet as the writer finished it, and deliver it to the editor. In extreme cases such as that of American journalist Hunter S. Thompson, that could take as long as a week. Ochieng’ and Tetley were colleagues both at work and on the rave. Tetley’s drinking was legendary, and booze occupied such a big part of his life that he got married several times at Starlight Night Club. After he died on the same hijacked plane as his friend Mohammed Amin in 1996, his friends placed several Whitecaps in his coffin. Speaking of Kenyatta and British intelligence, one of the things that Jomo picked up during his stay in Britain was using green ink. This is significant, because every subsequent Kenyan president has used green ink in official correspondence and documents. It became so unique that the education system refused (and probably still does) to let students use green ink. The earliest mention I can find of Jomo using green ink is in the late 1940s as he signed checks and documents. He used it to scribble a note to his lawyers the night he was arrested in 1952. It was also the color he used years later to cancel out names of his close friends, Mbiyu Koinange and Arthur Wanyoike, from the parliamentary report on JM Kariuki. Authentic correspondence from him, before and during his presidency, was always in green ink. The use of green ink seems to originate from the British military, but it was popularized by the first MI6 director who used only that color to sign simply “C” at the end of documents. You might have seen it in James Bond movies as the color “M”, Bond’s mysterious boss, uses. It was also used by different colonial governors and in the military, the home of hierachy, for the topmost ranking officers. While it doesn’t seem like a big issue in Kenya, it nearly brought an entire ministry in India to a halt. Two officials in the Ministry of Steel used red and green ink, triggering a crisis that took 18 months to resolve. Resolution included discussions with different government departments to find which colors were right in which hierarchies. If this sounds absurd, it’s even worse because when you learn that it happened in 2007. In Kenya, green was strictly for the occupant of the big house. Moi, in true style, retained this odd quirk. So whenever green ink comes up as a reference in the Hansard, it symbolizes the imperial power of the presidency. Students were whipped back into writing in black or blue ink, and teachers almost always mark in red. Writing in green was almost the same as pretending to be the president. But why green? No one knows for sure. The leading theory is that it separates the original from any forgeries and it stands out. 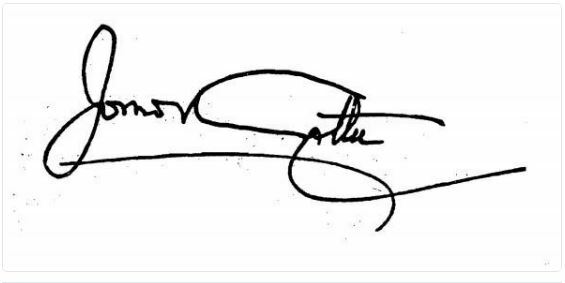 That tells you the signature above is a photocopy of an original.